When you’re not a frequent iTunes user, and recycle computer systems, then every once in a while you will get you in to a situation where you have Music on your iPod, but not on your PC any more. Whereas iTunes is great at putting music on an iPod, it cannot get it back. Each numbered folder has media (music, video or even photos!) files with a strangely encoded name like B00N.mp3 or 3DUN.m4v with supported media extensions including mp3 m4a m4p jpg gif tif m4v mov. The media files contain meta data with song, artist, album, etc. Do not erase your iPod when opening it in iTunes! copy from iPod to iTunes – Google Search. backup – Restoring an iPod from just copied files – Super User. HOW TO: Copy Music and Movies Off Your iPod, iPad or iPhone [tutorial]. How to transfer music from my old iPod Touch to computer? « How-To Geek Forums. Part 1: introduction; Copying Content from your iPod to your Computer – The Definitive Guide | iLounge Article. Part 2: manual; Copying Content from your iPod to your Computer – The Definitive Guide | iLounge Article. Part 3: 3rd party; Copying Content from your iPod to your Computer – The Definitive Guide | iLounge Article. Part 4: photos; Copying Content from your iPod to your Computer – The Definitive Guide | iLounge Article. Syncing to a “New” Computer or replacing a “crashed” hard drive… | Apple Support Communities. iPod 101: Which Files Work With iPod and iTunes. Probably mp3 m4a m4p jpg gif tif m4v mov aac aa aiff wav psd bmp tiff jpeg. My 6th generation nano plays same song over and over and will not shuffle songs or play them like it is supposed to skipping to next song. What do i need to do to get it back to normal? If you have that second Nano, the one that is 1 3/4 inches, perfectly square, and your song is playing over and over, you need to put your finger on the double arrows that move to next song and swipe left. You’ll get the screen with the repeat loop, the genius icon and the shuffle icon and you’ll see that the repeat loop has a 1 showing. Just touch it and the one will disappear. It took me an hour to figure this out and I even got it twice and couldn’t figure out what I did. 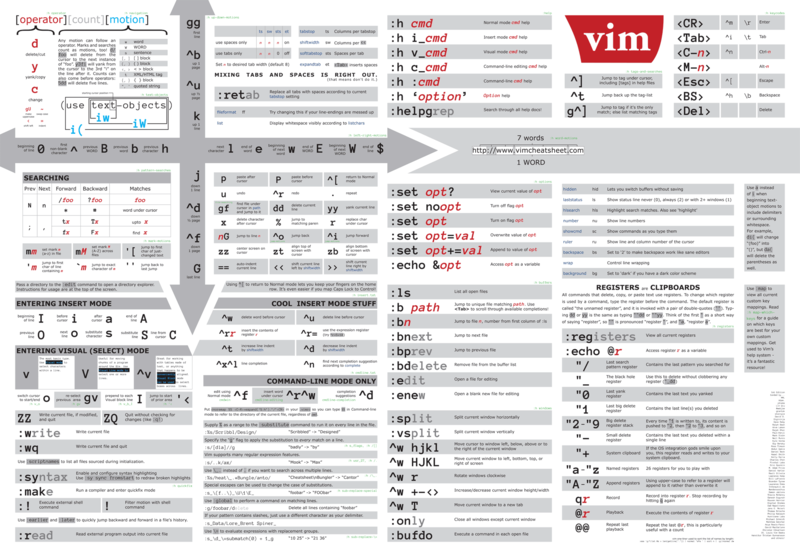 It isn’t in the current Nano instructions as the newer ones have easier access to these icons. Playing song: swipe, then Repeat count; Genius; Shuffle mode. Rote the screen: Use two fingers to rorate the screen. My nano plays same song over and over and will … | Apple Support Communities. iPod nano in delhi | iPad in delhi | HP Laptop in delhi | Samsung Notebook | Chirag Desktop | Gaming Headphone | Apple, MAC Computers | VHS INFOTECH PVT. LTD.
screen rotated won’t go back to normal – iPod Nano 6th Generation – iFixit. 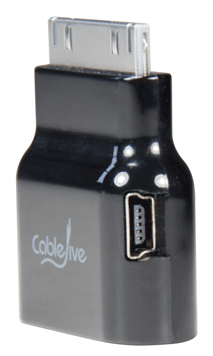 Interesting device I want to try out (probably from Amazon.com: CableJive dockStubz+). 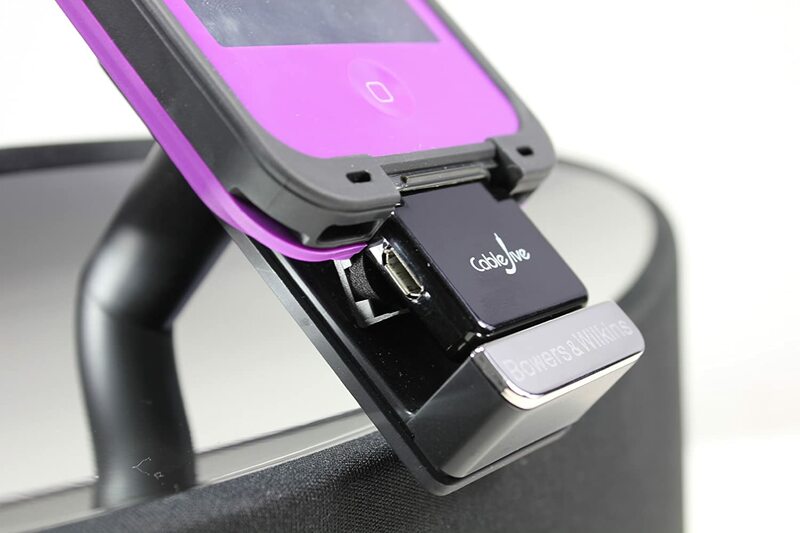 It is a 30-pin Pass-Through adapter for iPod/iPhone/iPad (lets call them iDevice). Use the connector to connect a compatible device, while still charging through the side micro-USB power port on the adapter. Charge modern iDevice with old chargers and old iDevice with modern chargers. Put your iDevice in a dock even when you have a bumper or case around it. A few pictures showing their use are below. Basically, there are two verions of charging circuitry: USB based and FireWire based. dockStubz+ model includes charge conversion circuitry for those older docks and accessories that don’t charge while they are connected. Safely connect your mobile device to any dock and get the charging you need. via: dockStubz Charge Converter and 30-pin Pass-Through Adapter. Last week, Apple fixed the so called #gotofail bug for iOS devices. Other devices (Macs with OS X 10.9 Mavericks, maybe earlier versions and I also suspect Apple TV to be vulnerable) will follow soon. I thought that Old iOS devices would be in the dark as the updates are for iOS 6.x and 7.x only. So any device that can only run on iOS 5 or lower might not be supported. 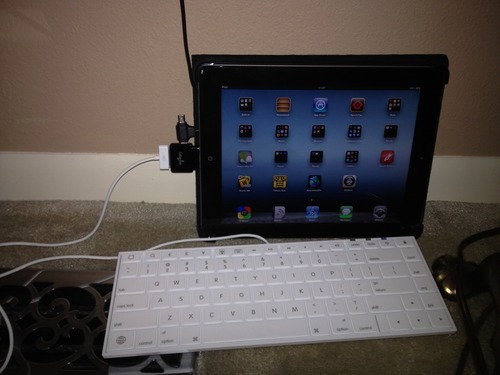 So I thought these devices would be unsupported, but found out an iPad 1st generation would pass the gotofail.com test. Please watch any security announcements carefully with using Apple equipment, as the bug can highly facilitate a man-in-the-middle attack.